We recieved a nice email from a fan Cliff Zeke Zier, a contributor on the Baseballisms Facebook Fan page, who very generously sent us some cool baseball images he has collected over the years. He acquired these very early pieces of baseball memorabilia at The Baseball Hall of Fame. Here is a Cap Anson image. It’s interesting to see that the card used the “t” for Capt., which is the original origin of the nickname for Adrian Constantine Anson. Inducted into the Hall of Fame in 1939, he was the first to achieve the 3000 hit milestone while playing for the Chicago Cubs franchise (at the time the White Stockings). Anson managed the Cubs beginning in 1888, and briefly returned to the bench in 1898 as the skipper of the New York Giants. 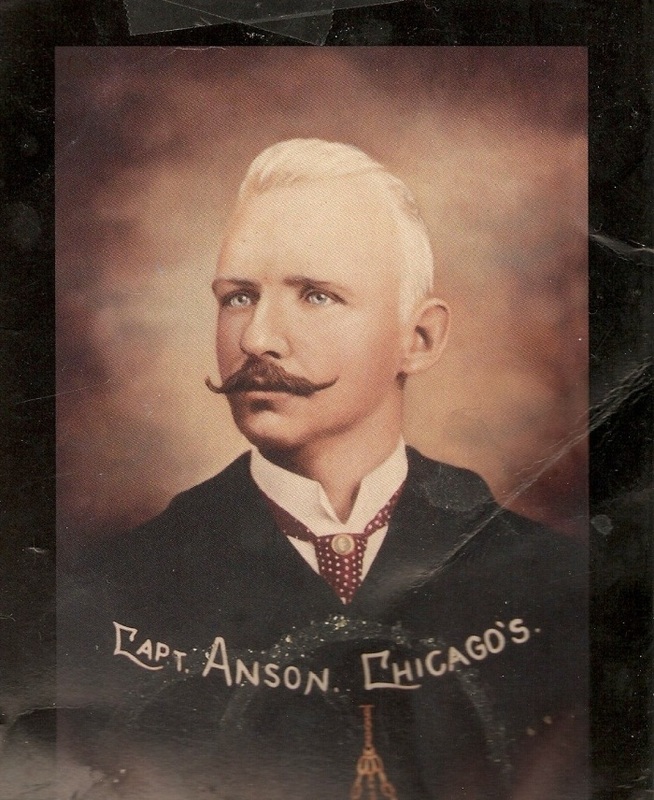 Check out the Hall of Fame’s Inductee Biography Page for Cap Anson. 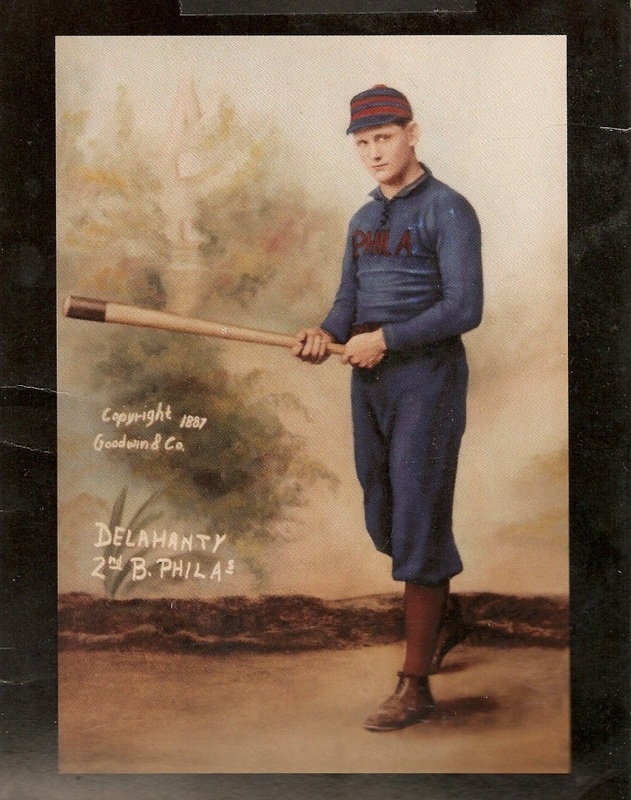 Next in Zeke’s collection is this image of Ed Delahanty from the Philadelphia Quakers / Phillies. Delahanty’s career ran from 1888 through 1903. The 1887 copyright listed on the photo initially confused me as to the identity of the player, as I wondered if it might be a different Delahanty. The career details presented on the back of the image state that in 1899 he lead the league in hitting with a mark of .408. He also had a 4 homer game (amazing in that era), and had 6 hits in 6 at bats twice in his career. Inducted in 1945, here is the Hall of Fame’s Inductee Biography Page on Ed Delahanty. 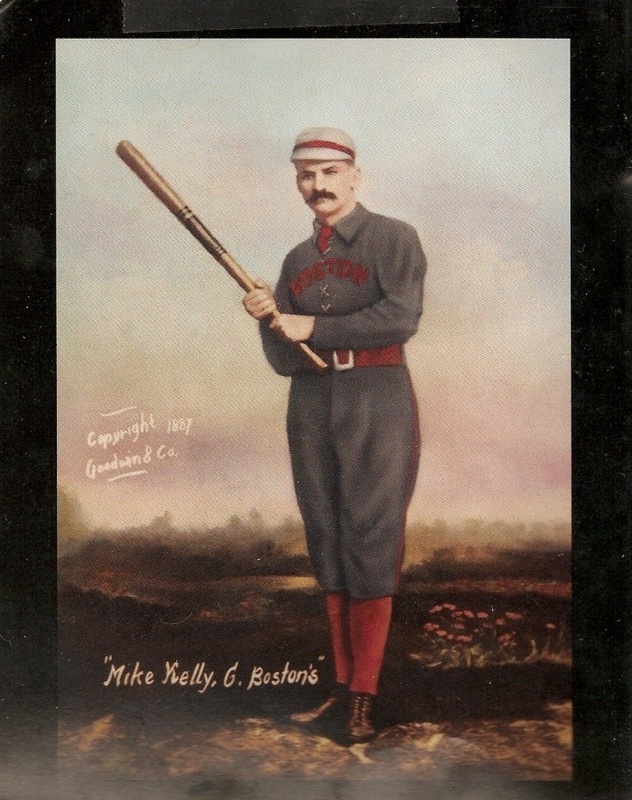 Mike “King” Kelly played for a number of teams during a career that ran from 1878 through 1893. This picture dated 1887 for Boston chronicles his stint as the Beaneaters player-manager. He had 156 hits with a .322 batting average and stole 84 bases, while accumulating a 49-43 record as manager…. but check out the lumber he was using, amazing to consider how hard it must have been to make contact! King played in the important Players League, founded by John Montgomery Ward (and discussed on Cover the Bases episodes with Lee Lowenfish as well as Dan Fost). He was the catcher for the Boston Reds who were the Season Champs with a .628 winning percentage. Inducted into the Hall of Fame in 1945, here is the Inductee Biography Page for Mike “King” Kelly. Do you have any baseball memorabilia you would like to share like Zeke has? We would love to profile your collection and the stories behind your passion! You can send us an email to wisdom@baseballisms.com or if the timing is right we can schedule a segment on our latest effort, Down the Line. Again, a big thanks to Cliff “Zeke” Zier for sharing his memorabilia with the Baseballisms community. You can hear his Baseball Memories podcast on Blogtalk Radio for NDB Media.